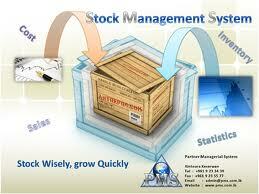 Stock Management System in Php Project is based on Inventory Management System which means Physical Resource that a firm holds in stock with the intent of selling it or transforming it into a more valuable state. Basicaly a Inventory system is set of policies and controls that monitors levels of inventory and determines what levels should be maintained. There are many items in a departmental store, which are sold to customers and purchased from suppliers.